Please show off what crt shaders can do! Yeah @daddu3, I also think that your newer shots with the mask look much better! One thing about masks that I’m just now learning is that it’s impossible to do black frame insertion, scanlines (1:1), and a mask, while still maintaining adequate brightness on a 1080p display. If you’ve never witnessed the motion clarity that results from strobing the display, you’re missing out. 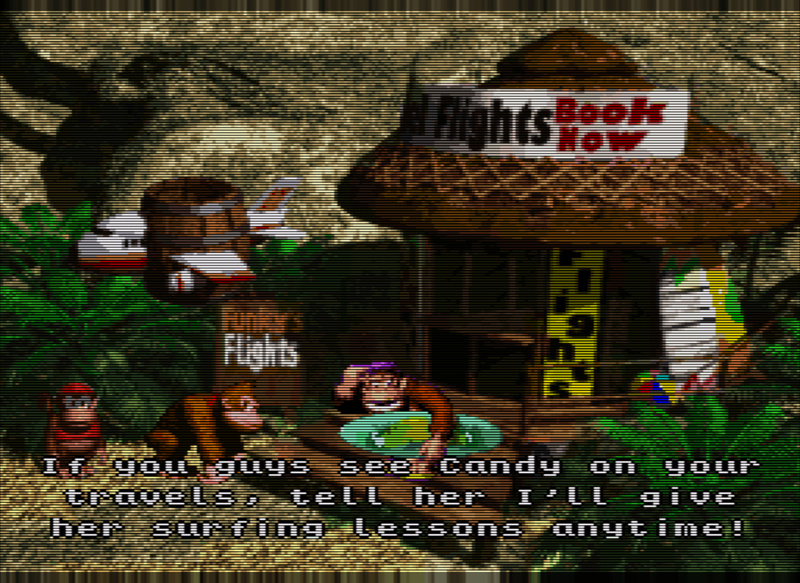 It’s really amazing and an essential part of the CRT experience IMO. 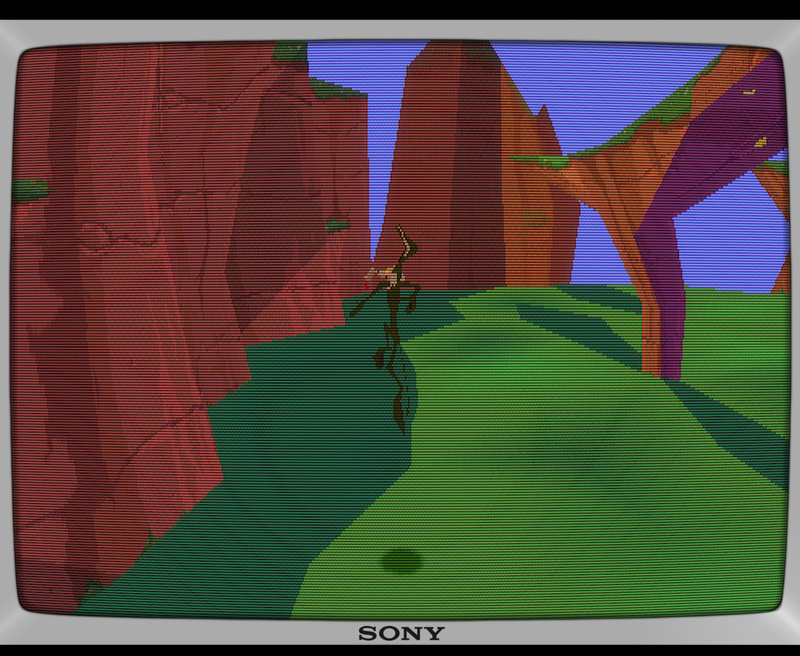 With black frame insertion, the mask, and scanlines, it’s something like a 90% reduction in brightness. Something has to give, unless you have an HDR capable display and a way of utilizing the extra brightness on demand. Furthermore, the mask disappears whenever there is horizontal movement on the screen. If we want to improve this, we need black frame insertion, which leads to a catch-22. We need black frame insertion for the mask to not disappear but black frame insertion and the mask together results in too much lost brightness. For the time being, I’ve decided to forego use of the mask so that I can use black frame insertion and keep the scanlines close to 1:1 while maintaining brightness. This will have to do until I get a better display. For me, the BFI gives me a headache pretty quickly. i’ve heard of people having similar issues with 60 hz strobing on actual CRTs, but for whatever reason they don’t bother me. There’s no denying the benefits of it, though. It completely eliminates sample-and-hold motion blur. Great image. Can you share the file of this shader? 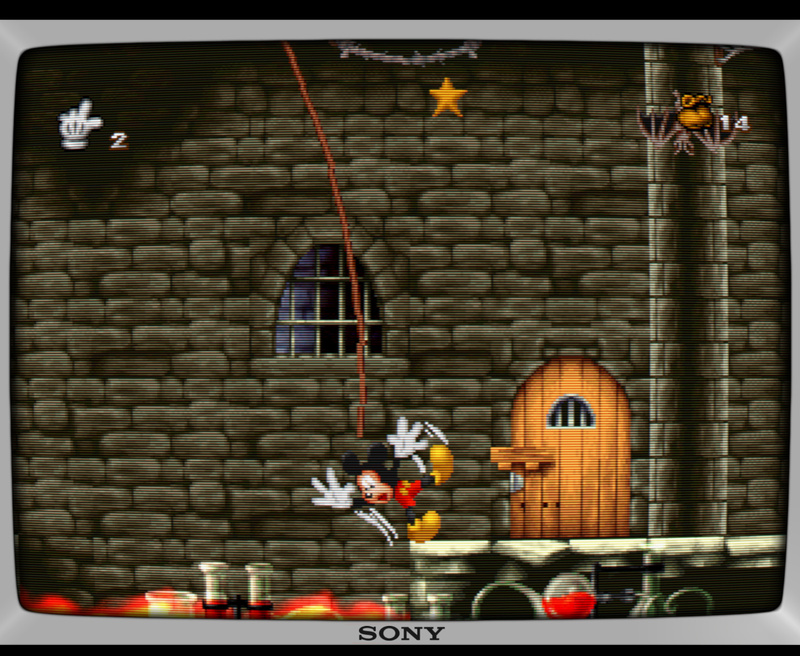 I have a problem with the crt-guest-dr-venom shader, every time I launch a game with it, only the upper half of the screen is rendered, bottom half is all black. Just going to Shaders -> Apply changes fixes the problem. What should I do ? Do you know what the flicker rate for the BFI was when you got a headache from it? And BFI has to match the frame rate of the content being used, so 60fps for most games. Even then, it does not “completely” eliminate sample-and-hold persistence blur, at least not even close to how it is virtually non-existent on a CRT, but it does clean it up quite nicely. 60 hz. I was running the monitor at 120 hz. That may be why it was a problem. Apparently the BFI refresh rate, monitor refresh rate, and content frame rate should ideally all match to avoid noticeable flicker. And at a minimum should be 60hz. 50hz can be noticeable even if everything matches. The best results for retro gaming I’ve seen are on an LG OLED that flickers at 60hz. 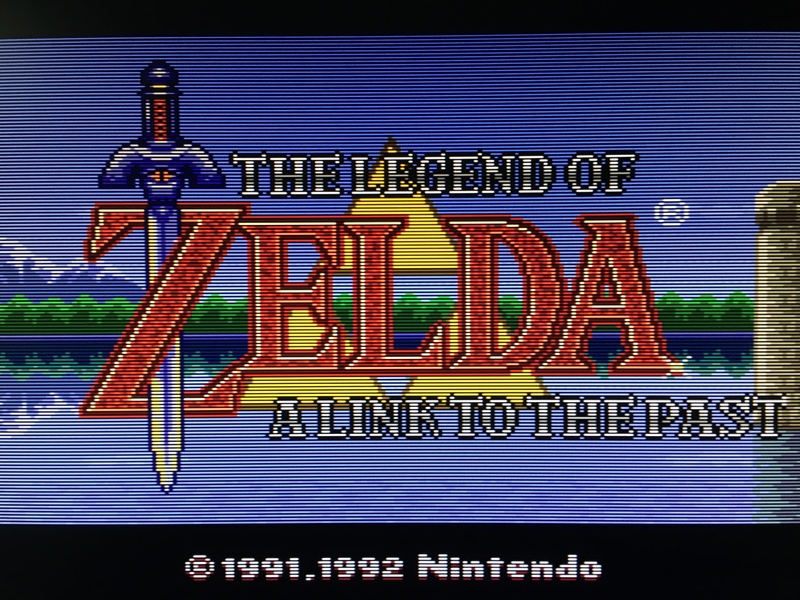 It’s still not perfect, far from a CRT, but significantly better than motion on any flat panel without flicker. Heyo! Been out a while, but felt it’d be the grand time to release the BVM-styled shaders I had worked on finally out, after using them for a while on my own. These are about as clean as they can get to get close enough on BVM-like displays, and can be customizable from the spot for all sorts of effects popular around here. Of course, remember to have Crt_Royale_Kurozumi to use these - hope you enjoy! Sadly CG-style for now for those asking GLSL-versions, but I might try to make ones for those in the future if the demand and possibilities are big enough. Hmm. did any BVMs have curved screens like that? I believe all PVMs and BVMs have the same cylinder curvature. That’s interesting that the PVMs/BVMs have the cylindrical curvature while the much cheaper FD Wegas are completely flat. Wonder why that is. In the above shots it looks like there’s curvature going both ways; any way to customize these shaders to just have the cylindrical curvature? If it’s just curved horizontally, and you’re viewing it directly head-on, then shouldn’t it appear as if there is no curvature? Never seen a BVM in real life. Interesting tid-bit though, @hunterk! I guess me having curvature on seems right then… Also never knew about the 240p Test Patterns-thing existing, would have made it easier to test this kind of stuff out. That’s interesting that the PVMs/BVMs have the cylindrical curvature while the much cheaper FD Wegas are completely flat. Wonder why that is. None of the “flat” CRTs were really flat (except, apparently, for LG’s “FlatTron” displays). Instead, they were normal, curved screens with thicker glass at the edges to make a flat outside surface. AFAICT, this distorted the image slightly, which is probably why Sony avoided it for its professional displays. for comparison’s sake, here is a shot using just zfast_CRT, illustrating that a lot of what the more complex shaders are doing can be done with a simple single-pass shader. It’s actually easier to emulate a PVM/BVM than it is to emulate a lower quality monitor/TV. 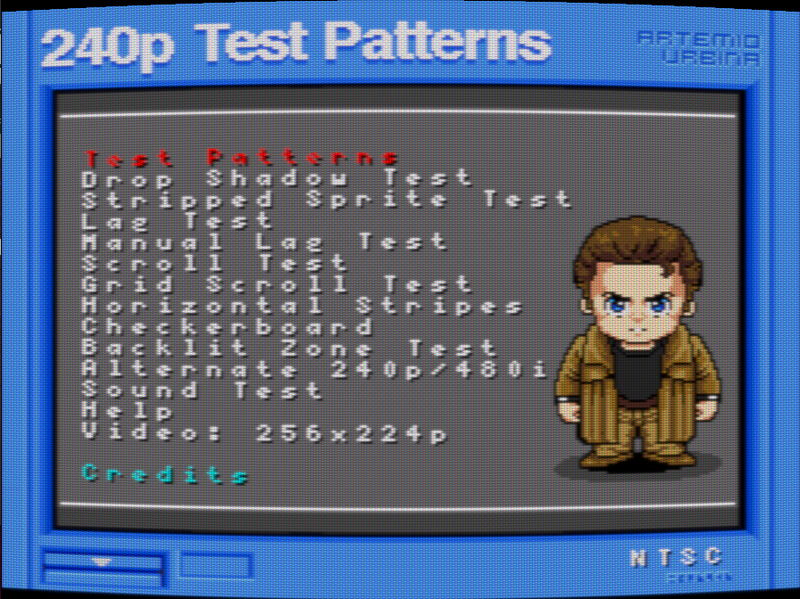 Also never knew about the 240p Test Patterns-thing existing, would have made it easier to test this kind of stuff out. I’ve been trying to make people aware of Fudoh’s 240p test suite because I think it would improve the quality of people’s shader setups and would take a lot of the guesswork out of adjusting settings. “Grey ramp” is good for checking gamma and brightness, “Color bars” is good for color levels and contrast, and “White & RGB screen” is good for testing peak brightness with a light meter. Yeah, kinda like the calibration disks for modern flat screens today, I think? So far tested my shader settings on my own TV again, and it does check quite well on most aspects. I think this photo taken with my phone camera is looking pretty BVM-like (minus the curvature!). It looks like the photos I’ve seen of BVMs, at least. The D24/A24 and D32/A32 BVMs were flat (and widescreen, supporting both 4:3 and 16:9 pictures).